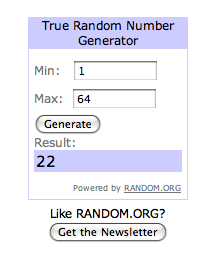 a shine machine: giveaway winner! Yay Pointerman!! Please email me your address sometime today and I will get it to Eleanor right away so that she can ship you out your cutie new doll!! ** Don't fret, if you were not the winner, remember she makes custom dolls in her shop. I'm also donating 25% of the purchase price of any of the other "Pita" plush matryoshka dolls sold in my shop to Janel & Adam!!!! If you see a doll you like, but maybe she doesn't have the hair color you want or perhaps you want a doll with blue eyes instead? I would love to produce a custom doll for you! 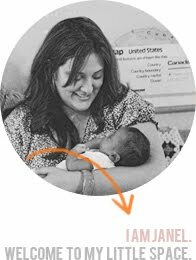 25% of any custom orders will also be donated to Janel & Adam for their adoption! ** Finally, for Run With Scissors readers, if you buy more than one Pita plush matryoshka doll, I'll ship your dolls for free! Just be sure to let me know in the "Message to Seller" you're a RWS reader!!! Happy Monday loves!! I'll be back later with another cute post so check back!! I just want to tell Eleanor and Janel thank you for the cute new doll but I am going to have Eleanor ship it to Janel for her new addition. I will let Eleanor tell you the rest of the story if she want to!! 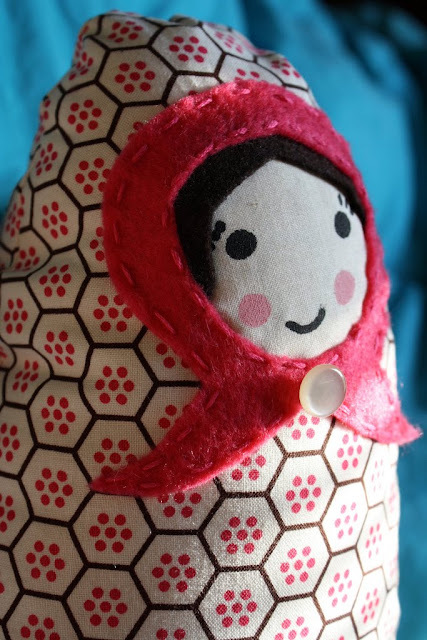 Oh I was just looking at that honeycomb fabric she used on that doll!